We have a couple of raised beds already and I love them, mainly as my son doesn't then trample all over the seedlings on family visits to the allotment. It was a decision I swiftly made this year once a row of spinach and the emerging shoots of chard were swiftly squashed under the foot of a rampaging 5 year old. 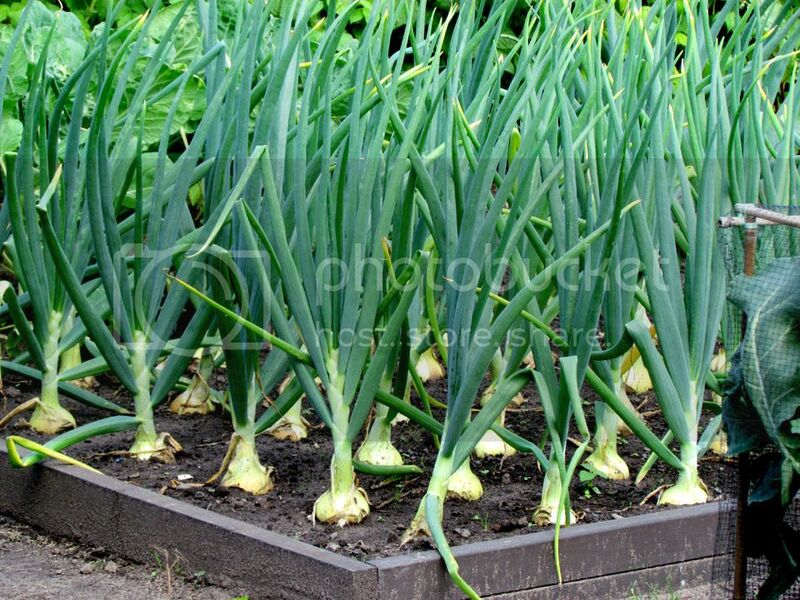 They also look nice and ordered giving a structure to the plot. 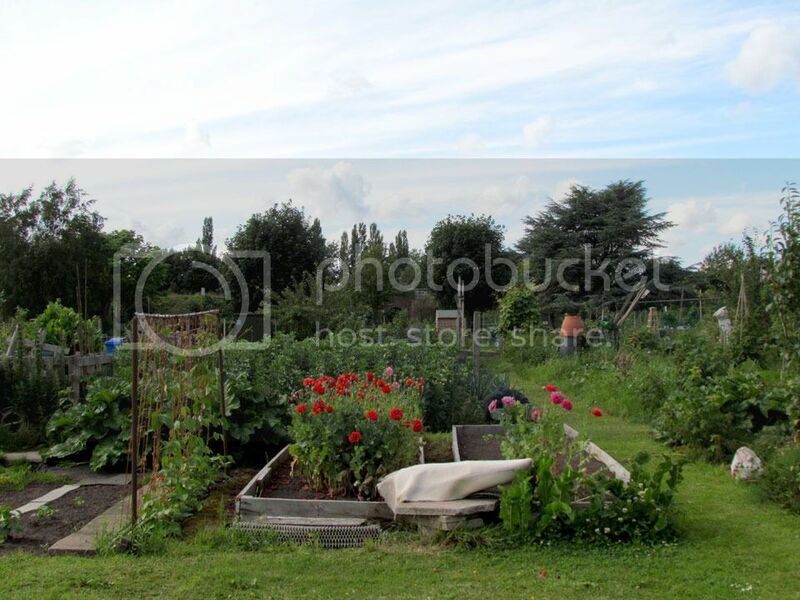 They are easy to construct and once done will ease your allotment work rather than having huge open beds. Plan it out first with string considering where the paths will be. 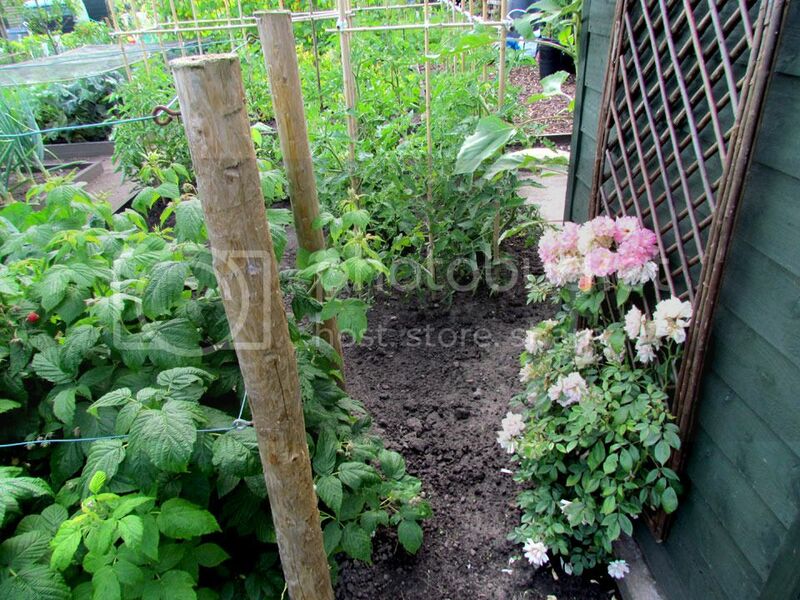 We used old decking planks, a good way of reusing wood as is the allotmenteers unofficial rules of recycling. Since having a wood burner installed we collect any wood and sometimes end up with felled trees being given to us, like a gift from the gods themselves as autumn approaches. However, after relying on my father's goodwill of chopping them up, we now need to become more self sufficient and invest in a chainsaw such as one from the Anglia Tool Centre. It's hard work without one and going off last year, we will end up with a lot of wood. Further to this we need a proper wood store building at the back of the garden. The wood needs to dry out for a few months before you can use it, so a sheltered store to keep the worse of the rain of it and the air circulating is required. A wood burner is imperative for all the winter seed catalogue reading sessions cosy by the fire. How else to get through a winter of little gardening? Back to the allotment, we have rows of fruit - raspberries, currants, tayberry, blackberry and gooseberry. They line the edges of the plot but the raspberries especially have started to get very unwieldy and are eagerly snapping at passers by. Before we end up with a note through the shed door off the commitee to sort this, some new supports are required. Wooden posts, wire and hooks; hopefully just a weekend's work. Currently we have a plastic composter but it is so impractical and in order to turn the compost over, you really need to get in there in your wellies with your fork and make a mission of it. It will be just the thing to make with the pallets that would otherwise go to the tip. Over the autumn I intend on collecting bags and bags of leaves for once rotted down they are pure heaven to the soil, improving structure as the adoring earthworms drag it down into burrows and create perfect black crumbly loam. All you need is a wire mesh and some wooden supports to create a little cage (for the leaves, not the worms!) chuck the leaves in and the elements will break them down into a substance better than gold to a gardener.